It's 2003. I've just started my first PR job and I ring up a comms professional at a charity and ask them how their latest campaign went; or indeed, what they had for breakfast. How intrusive would that be? But it's now 2012 and I'm armed with that sort of information about fellow professionals all the time. And no one feels I've intruded on their lives. How did we cope without social media? The other day I asked a colleague to retweet one of my offerings. “Which one of your forty accounts shall I send it to?” he quipped. OK, I am a bit of a Twitter-holic: I have three accounts – work, home and CharityComms. It’s funny how times have changed; my daily news round-up now has Twitter as a key source. This has the added advantage of enabling me to see what my sector is saying and it can lead to good, daily conversations with like-minded comms staff. Another thing I could have done with when I left journalism was having access to an organisation like CharityComms. I would say that because I'm a trustee – but I'm also a member, and each time I’ve met up with other CharityComms members I’ve had really useful conversations, about (amongst other things) relationships with journalists, cuttings systems, and social media. And I have to say it's surprised me. It’s easy to assume you know a lot, just because you are going for it in the job hammer and tongs. But I really appreciate getting different perspectives – and that doesn't mean having to share your organisation's business plan. So I urge you to go to some events or to read some of the articles (I enjoy the How We Did It section). Kellie Smith, from Contact the Elderly, wrote an excellent article recently on using audio on a budget. I took the liberty of contacting her and we’ve built up some great social capital. I've also recently started mentoring a press officer for a national charity. She is full of new ideas and I can, I hope, offer guidance where appropriate. She wanted some help last week and I was able to send her some information. Next time, perhaps it'll be my turn to go to her to get a different perspective. But what about the time commitment? I feel that there’s certainly time for conversation. 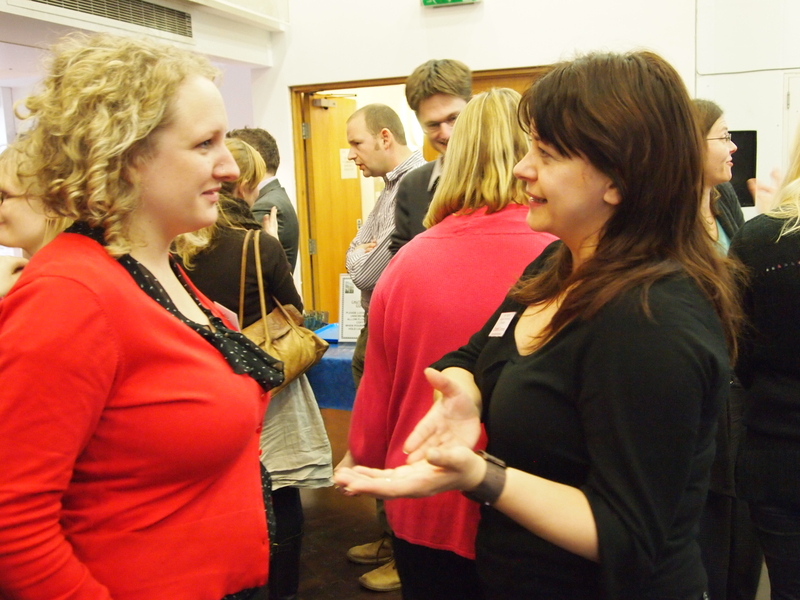 In just a couple of CharityComms events you can pick up some good information. I'll be meeting my mentee about three times a year. I'd go so far as to claim that, for the time invested, I'm getting far more out of it in terms of ideas and enthusiasm gained. No, my big regret is that I didn’t notice the potential of all this nine years ago and invent Twitter myself! Steve's current communications work concentrates on supporting SCIE to achieve its business goals. Since 2003 he has worked for charities dealing with substance misuse, mental health, learning disabilities, volunteering and wider social care. Steve was previously at the BBC and before that he had another career at Trailfinders Travel. He is also an advocate for rights for people with learning disabilities. Steve’s written a ‘warts and all’ book about his son entitled Down’s with the kids. Steve supports Stoke City and enjoys getting muddy at summer music festivals.